Is there a way to provide a dual voltage supply from the Arduino Uno? Is there a way to provide a single negative voltage supply from the Arduino Uno? 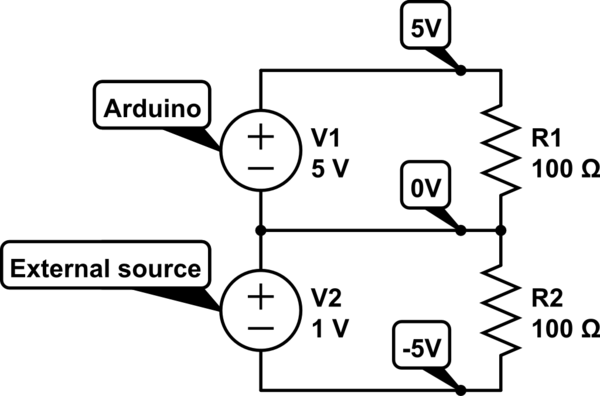 You can make -5 V if you use an external power source, like in the circuit below (untested). Connect the GND (-) from the Arduino to the +5V from the External (5V) source, than 0V will be the GND (with respect to the Arduino), but the GND of the external source will be -5V with respect to the Arduino. I only used the resistors to get no short circuits, you can replace it by your own circuit (connecting the 5V arrow to Vcc and the -5V arrow to Vee).